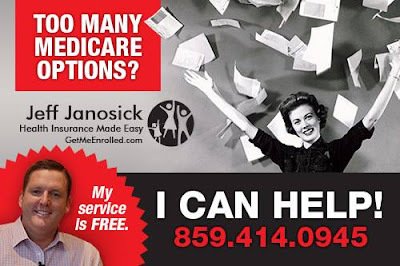 Jeff Janosick is an independent insurance agent based out of Fort Thomas, Kentucky. You can reach him at 859-414-0945. October 15 - December 7 is the annual enrollment period for Medicare. Medicare recipients are typically over age 65 or if under 65 have been awarded disability via social security. During this time, Medicare beneficiaries can make changes to their coverage for 2017. 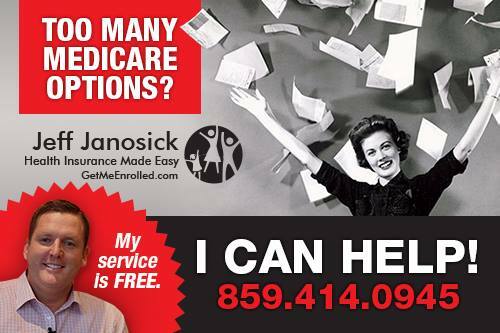 As a local health insurance agent, Jeff Janosick can help Medicare eligibles make sure they have the right coverage at the lowest cost. “So far this year, I have logged over 50 hours of training on current Medicare products. I am an independent voice for my clients since I can offer them a wide range of products available from most carriers. I have no bias towards one insurance company or another." “I get a commission from the insurance company, so my service is free to my clients. My client’s pay the same price whether they use an agent or not for their Medicare supplement, Medicare advantage plan, or part d drug plan. RELATED: To get a quote, start here. If you would like a Medicare consultation during open enrollment or if you are turning 65 soon contact an experienced agent. Call Jeff at 859-414-0945 or Jeff@GetMeEnrolled.com. Check out Jeff’s free 2017 Medicare Checklist here. Who Was Highlands' David Cecil? OP-ED: "We Should Change How We Vote"